Want to stay in a Villa in Maleme? Request Availability for Villa Lady Dafni HERE! 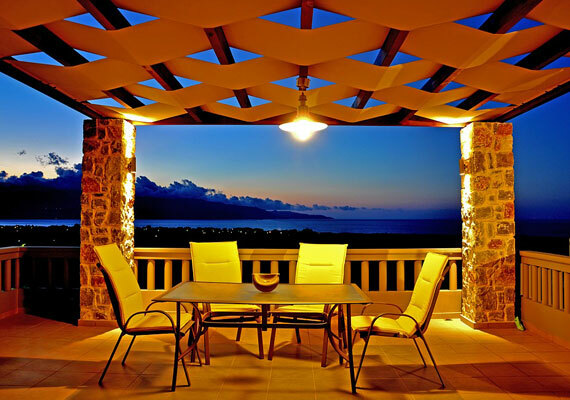 On the premises of the villa one can enjoy every kind of comfort. It features a terrace with views of the vast sea of Maleme and a garden with an outdoor heated swimming pool for those who prefer to enjoy a swim. The historic village of Maleme Chania, is an area with amazing sandy beaches and crystal clear waters, awaiting it’s visitors to show them the secrets of Xenios Zeus. Villa Lady Dafni can be described as hospitable and magnificent – ideal for demanding guests and with a nice sense in stylish design, as it is made with care and attention to detail.